We know our steel garden sheds are great value for money, long lasting and solid. So what makes our top selling Galvo Sheds (GVO) and Garden Master sheds (GM) so good? Over 40 years experience in manufacturing sheds has led to a proven and simple design. Garden Master and Galvo Premium sheds are made from high tensile steel, roll-formed into deep, closely spaced ribs with heavy gauge channels. These panels are then joined together to form a strong tension membrane. It’s a system that withstands strong winds when assembled and anchored correctly, and makes extra framework unnecessary. The GM & GVO kit set garden sheds have become known New Zealand wide as the easy to assemble garden shed. All you need is a drill, screwdriver, riveter and maybe an extra pair of hands. Clear, step by step instructions will come with your shed along with all the screws and rivets needed to complete the job. All our sheds have been made in NZ by a family owned business since 1974. You can be confident that the steel garden shed you receive will be of high quality and at the right price. 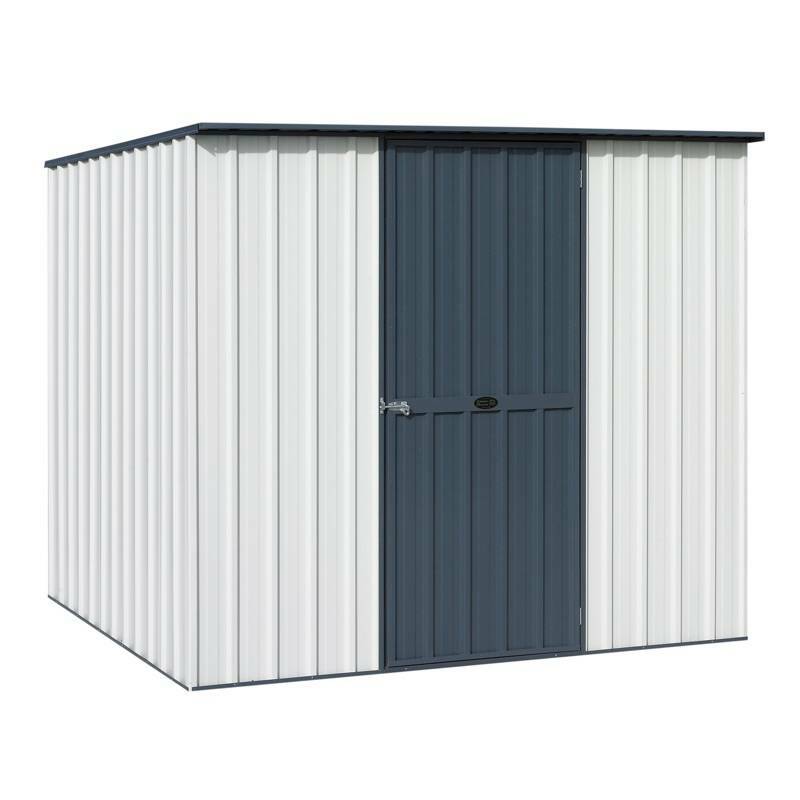 All materials used in the construction of the sheds are sourced from reputable suppliers and roll-formed in their own factory ensuring garden sheds of consistent high quality. Excellent value for money Galvo Premium garden sheds for the person who needs a no-nonsense, long lasting shed. In fact they are so tough that they come with a 18 year factory warranty. These are standard designs and cannot be altered like the Garden Master Sheds. Available in Desert Sand, Iron Sand, Grey Friars, Ebony, Titania and Karaka. Garden Master sheds have the most extensive range of options, colours and accessories available in NZ. As these garden sheds are Kiwi made for Kiwi back yards you can have us customise your new shed to virtually any specification. Customisation will require us to get extra information from you, so please feel free to email or phone us to discuss further. 25 Year factory warranty! If any component of your steel garden shed should fail we will replace it. Make sure your shed is built and secured to our instructions as a minimum. Sorry, but warranty does not cover damage or loss through act of God. Garden Master & Galvo garden sheds – built tough right here in NZ since 1974. Extra wall height can be added.